Bloodborne’s development was quite the undertaking for Sony and From Software. Sony and From Software working together on a project is something you could’ve guessed when you look at the relationship they’ve had with Demon’s Souls. But how well Bloodborne did, and the reception it received, is perhaps not as easy to predict. 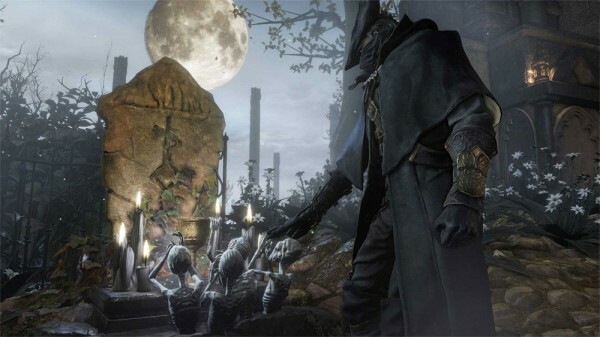 According to Sony’s worldwide studios president Shuhei Yoshida, betting on a game like Bloodborne that early in the PlayStation 4’s life cycle was a big risk, and something From Software may not have been able to justify if it weren’t for Sony’s involvement. “Being management of From Software, I can totally understand they’re publishers, they have to manage their resources,” Yoshida told Eurogamer in an interview conducted at EGX 2015. “But also they support Miyazaki-san’s creative vision. Sometimes he might want to do something risky for them – in that case, we might have a chance of working with us. That was the case for Bloodborne. Yoshida’s visit to the UK was in celebration of the 20th anniversary of the release of the PlayStation 1 in the country. But, looking to the future, is another Sony/From Software collaboration possible? “Absolutely,” was his answer, adding that he hopes to continue working with the studio. That is sure to make the many fans of From Software’s work and their style of games very happy. Bloodborne’s The Old Hunters expansion is due out November 24.